You are here: Home » CCNF Headline News and Reports » Could Hurricane Patricia be a harbinger of storms in a warming climate? Hurricane Patricia drew immediate attention by intensifying from a tropical storm to a Category 5 hurricane in a single day. 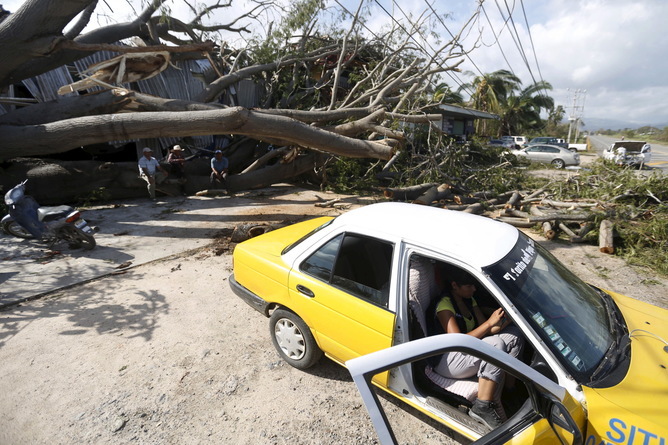 It soon developed the fastest winds ever recorded in a western hemisphere storm. Meteorologists and climate scientists have already begun their scientific investigations of how a cyclical El Niño and ongoing greenhouse warming intensified this remarkable storm. Yet even before Patricia completed its soaking path through Mexico and the United States, a new meme emerged among some who deny the urgency of climate change: if Patricia was so strong, they said, why did it cause so little death and destruction? Why are we not seeing the jaw-dropping images that accompanied more destructive hurricanes like Katrina or Andrew? But it’s a mistake to scoff at climate change because Hurricane Patricia caused so little damage compared to previous hurricanes. Instead, we should recognize the warning it portends for stronger storms that could form over even warmer oceans in the future. While Hurricane Patricia garnered headlines for its nearly unprecedented intensification, we are fortunate that it also had the most rapid deceleration ever recorded for a storm. 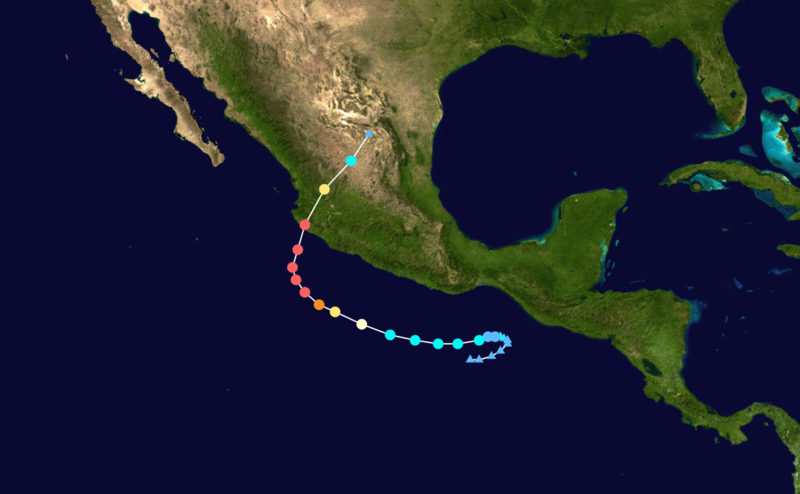 This was caused primarily by its path over Mexico’s 10,000-foot and higher Sierra Madres, which began weakening the storm even before its eyewall came ashore. Even more fortuitously, Patricia’s relatively narrow core of hurricane-force winds thread the needle between the cities of Puerto Vallarta and Manzanillo, averting more populated areas. Furthermore, the deep ocean near that region hinders the storm surge that can be so devastating in Gulf of Mexico storms. We should all be thankful that these physical factors mitigated the damage from Hurricane Patricia. But make no mistake – Category 4 and 5 hurricanes pack monstrous force. Wind power increases with the cube of wind speed. Thus, the 165 mph winds of Hurricane Patricia at landfall packed 2.3 times the punch per area as Hurricane Katrina’s winds, which were 125 mph. At its offshore peak of 200 mph, Patricia’s winds would have been even more devastating if it hit land at full force. When Super-Typhoon Haiyan came ashore in the Philippines as a Category 5 storm in 2013, the death toll was over 6,000. There is no reason to rest assured that future storms will take such a damage-limiting path as Patricia. Instead, we should see in Patricia just how quickly and intensely a hurricane can develop over warm waters. This time, the near-record warm waters arose at least in part from El Niño. Greenhouse warming may also have played a role, since the waters in Patricia’s path were warmer than in previous El Niños, and have been warmer-than-normal since even before this El Niño formed. The crucial question moving forward, though, is not what roles greenhouse warming and El Niño played in this particular storm. Instead, we should focus on the fact that the largest amount of warming and its impacts are yet to come. Warming to date has been about a degree Celsius overall, and slightly less over oceans. However, projections show that our current path of emissions could cause more than twice as much warming as has occurred so far. As warmer surface ocean conditions become a more prevalent feature in the eastern Pacific even outside of El Niño years, there would be more opportunity for tropical storm systems to intensify into major hurricanes. Even if tropical storms become no more frequent than today, warmer waters and moister air could make them more likely to intensify, and to intensify more rapidly. Hurricane Patricia and other near-record storms of this season have shown what the fuel of warm oceans can produce. Other factors like wind shear matter too, but the role of warm waters can no longer be doubted. Scientific understanding of how warming will accelerate storm intensification remains incomplete. Most experts expect tropical storms to be become more intense, though not necessarily more frequent. A study published last month in the Journal of Climate projected that the eastern Pacific could experience five times as many days with Category 4 or 5 hurricanes by the end of this century. Some amount of continued warming of surface oceans is now inevitable, as Earth’s climate and oceans have yet to fully change in reaction to greenhouse gases already in the atmosphere. However, our efforts to curtail greenhouse gas emissions could substantially slow the additional warming that occurs. Rapidly intensifying hurricanes are by no means the only reason to pursue such efforts – the impetus of mitigating more established climate impacts such as sea level rise, heat waves, extreme weather and ecosystem damage gives more than enough reason to do so. Nevertheless, Hurricane Patricia should serve as yet another harbinger of the substantial changes that may accompany further warming, rather than as a reason to dismiss the need for urgency. Author: Daniel Cohan Daniel Cohan is an Associate Professor of Environmental Engineering at Rice University, where he teaches courses on Atmospheric Science and Energy and the Environment. He is also a Faculty Fellow at the Baker Institute Center for Energy Studies. His research specializes in the development of photochemical models and their application to air quality management, energy policy, and health impact studies. He received a B.A. in Applied Mathematics from Harvard University, a Ph.D. in Atmospheric Chemistry from Georgia Tech, and served as a Fulbright Scholar to Australia at the Cooperative Research Centre for Southern Hemisphere Meteorology. Dr. Cohan is a recipient of a National Science Foundation CAREER young investigator award. He also serves on the NASA Air Quality Applied Sciences Team, which works toward better applications of satellite data to inform air quality management.